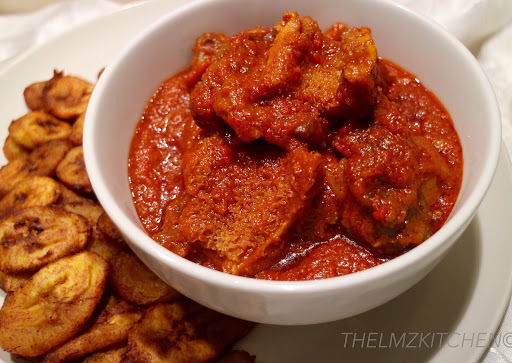 Said to be a yoruba stew, served at local joints in Nigeria, the use of palm oil gives it a distinctive taste. 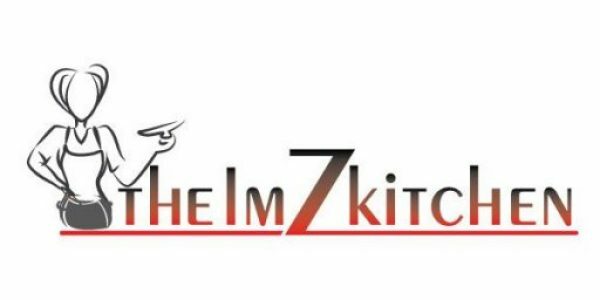 Prepared with more portions of pepper than tomatoes , designed and decorated with different types of assorted meats. I do not think I will be trying the old regular stew after today. 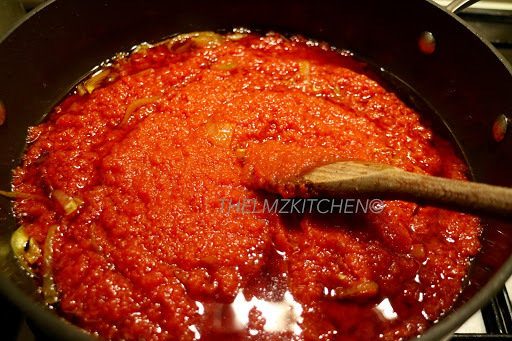 Blend together Tomatoes, peppers and 1 onions until smooth. 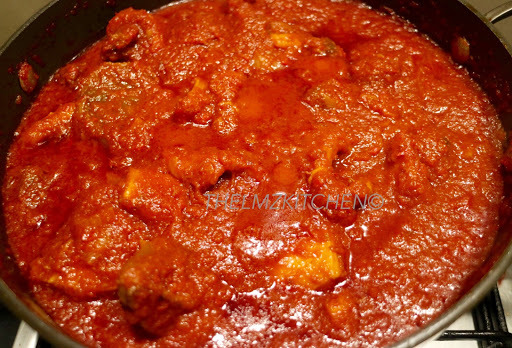 Cook for about 25-30 minutes so you can get rid of excess water. Set a large pot on heat, pour in your palm oil and allow to bleach. 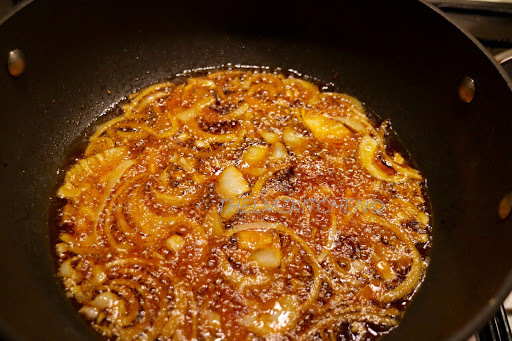 Chop the remaining onions and add into the oil and fry, allow the onions fry but not get so burnt, they give the stew a nice flavour. 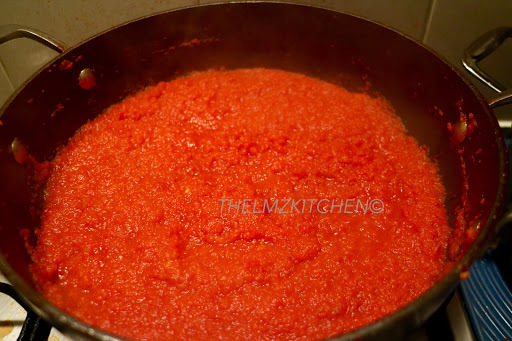 Pour your blended mixture into the oil adding your maggi cubes and salt, add any stock you have into the stew. I do love a thick stew so I used up to 400ml. Stir everything together and taste for seasoning. It might burn a bit that is okay you are not a terrible cook, I always use my wooden spoon to keep stirring. Cook till you can see the oil floating on top, this was about after 20 minutes. 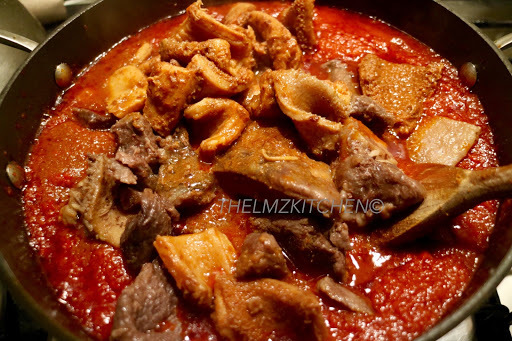 Add your cooked assorted meats , reduce the heat and allow to simmer for about 10 minutes. Stew is ready and looks delicious of course. you do not have to make yours so thick. Add more stock or water, but do not get it so watery.